DEATH AND THE DYING PROCESS – ALETHEIA THEOSOPHY VICTORIA BC. Q. I have always been afraid of death and dying. 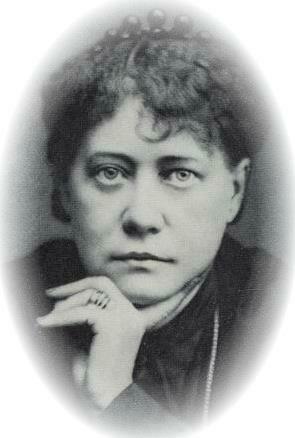 What will happen to me when I die, according to the teachings of Madame Blavatsky and the Masters presented in Theosophy? What did they say about it? A. First of all, there is nothing to worry about. Youwill never die. The only part of you which will actually die when the change or transition commonly known as “death” takes place is the physical body…and this is nothing more than your outer shell anyway. The true “I” of your being will never die. Your astral body will eventually disintegrate when the very last particle of the dead physical body disintegrates. Also, the prana (vitality, life energy) which now animates your physical body and keeps you in physical incarnation will return after death to the universal prana. But still you – the soul – will never die. In the very last moments of life, when the body appears dead for all intents and purposes, everything you did, said, thought, and experienced in the life just ended will pass in perfect clarity before your inner vision. You will see the absolute justice and fairness of everything that happened to you in life and how everything proceeded exactly as it should have done, according to the unfailing law of cause and effect, action and reaction, known as Karma. Then the “silver cord” connecting your physical body with its vitalising astral double will break and this is what brings about real physical death. This causes such shock to the soul that the next part of the process will then take place unconsciously to yourself. Unconsciously you will enter into Kama Loka, which is the psychic atmosphere or “astral plane” surrounding and to some extent interpenetrating the physical plane. How long you will remain there can be determined by various factors but primarily by the degree of sensuality and material attraction that characterised the life just lived. What takes place there is the separation between your lower, sensual, material nature and your higher and more spiritual nature. The lower, sensual, more material side of your nature cannot enter into the heaven state and so it has to be cast off here in the intermediate state of Kama Loka. The more spiritually and less materially and sensually inclined and oriented, the swifter this will happen. It may only take a matter of minutes or may take several hours, days, weeks, months – or, less frequently, even several years – depending on the preponderance of the lower nature over the higher. This will inevitably cause further shock to the soul and so you will then enter into what is known as the “gestation state,” a period and state of profound rest and inner recuperation, akin to the deepest sleep you can presently imagine. We cannot speculate as to how long this might last for but in some cases it is far longer than we might think. Meanwhile, the elements of your lower nature, now coalesced into a type of psychic shell, remain in Kama Loka. Your soul – which in Theosophy is often called the Ego, using that word in its true and literal sense – has moved on and joined itself with your higher and spiritual nature. The shell in Kama Loka is known as the Kama Rupa, meaning “desire form.” It is soulless and any surviving intelligence it has is basic and automatic. It has no individual consciousness of its own. It is just the amalgamation of the dregs of the lower nature from the lifetime just ended. It will remain in Kama Loka until all its remaining passion and force completely wears out and then it will disintegrate entirely and cease to be. This may take weeks, months, or years, again determined by the force and amount of sensuality. We have to hope that none of your surviving friends or loved ones will try to make contact with you after the death of your physical body. It will be impossible for your soul to be reached or communicated with by those on earth. The laws of Nature ensure that you will not be subject or victim to the misguided efforts of those left behind to make contact with you or drag you back to the physical considerations of earth life. Any type of spiritualism, mediumship, and channelling is always dangerous and detrimental, particularly to the people doing it. Although they will most likely not realise it, it is only your Kama Rupa they will have any chance of reaching. They will mistake this soulless shell for the real you because of its ability to automatically repeat certain facts, details, characteristics, and information which you possessed during that lifetime. The life span of the Kama Rupa in Kama Loka will be prolonged as a result of such meddlesome interference, and undesirable situations and problems may potentially arise. Perhaps it would be wise, before you pass away, to ask your family members and loved ones to promise not to try to make contact with you once you are gone. The real you will eventually emerge from the gestation state and enter into the heaven state which Theosophy calls Devachan. Consciousness returns at the door of Devachan. It is not a location or a plane but a state. It is actually quite different from the popular religious conceptions of Heaven. For a start, everyone has their own personal Devachanic state and each of us creates it for ourselves unwittingly out of our own consciousness. It is the exact representation and experience of what you had believed, hoped, and expected Heaven to be like while you were still alive on earth. It is a perfect state of the utmost bliss, peace, and joy. There is not even the faintest shadow, hint, or trace of sorrow, disappointment, suffering, or pain there. Everyone and everything you had hoped to be there will be there because it is your own mental creation. Even your loved ones who you left behind on earth when you died and who are still physically alive will be there in your state of Devachan. They will not really be there but they will seem to be there, so vivid and realistic that you will never be inclined to question the matter or to doubt the reality of your experience for even one moment. This is necessary in order for it to be a state of the highest possible bliss for you. Those of your loved ones who had passed on before you will also be there in your Devachanic state, regardless of how long ago and even regardless of whether they have already reincarnated again. Again, they will not really be there but they will seem to be there, as perfectly vivid and realistic as when you were with them on the physical plane. Some of them will be having their own Devachan at the same time as you are having yours but the law of perfect justice and bliss requires that we each have our own personal Devachan, entirely of our own making. So there is no actual interaction or communication between departed souls but you will be represented there, as real as life, in your loved one’s Devachanic state just as they will be in yours. In Devachan there is no memory or awareness of having died or even of there being such a thing as death. Bliss, peace, and joy prevails unfailingly throughout. Being a temporary, subjective, and self-created experience, it is really a type of dream but a dream as vivid, tangible, and well defined as life on earth. The duration of your stay in Devachan will be in exact accordance with the amount and force of the good or positive Karma that you accrued during the preceding lifetime. This is what sustains and prolongs your Devachanic experience. This will naturally vary greatly from person to person. For you, Devachan may last 1,000 years or even longer. Alternatively it may perhaps last several hundred years or just several decades. Some people return to earth life after just a few years, primarily if the attraction for physical and material existence is a strong force within their soul. Either way, your Devachanic state will eventually begin to fade out and draw to a close, coinciding with the process of the reincarnation of your soul, from conception, through pregnancy, and finally culminating in your rebirth on the physical plane.